Goodreads: The Great Depression has hit West Virginia hard. Men are out of work; women struggle to feed hungry children. Luckily, Nurse Becky Myers has returned to care for them. While she can handle most situations, Becky is still uneasy helping women deliver their babies. For these mothers-to-be, she relies on an experienced midwife, her dear friend Patience Murphy. 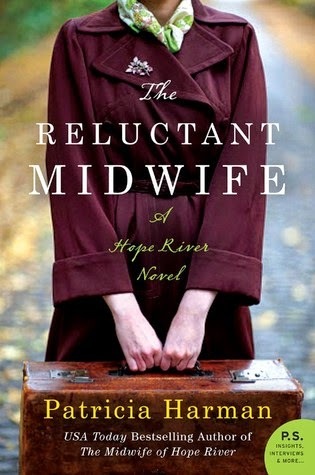 Kritters Thoughts: A companion to the first book The Midwife of Hope River (which I reviewed yesterday) and would completely suggest reading first before you read this one. Now to the review - This second book focuses on a different character from the first, Nurse Becky Myers. She makes a few appearances in the first book, but takes the lead in this book. She is moving back to the small town in West Virginia with the ailing doctor that she followed out of town for a job. They are returning to try to put their lives back in order and thankfully Patience from the first book is able to help them out. I don't always love companion books, but loved seeing the continuation of the story and through a new set of eyes made it interesting and entertaining. I still felt like I was able to read Patience's continuation at the same time as she took a big role in helping the nurse and the doctor get back on their feet. I absolutely adored the inclusion of a historical truth in the Civilian Conservation Corps camps and how easily Nurse Myers integrated into that world and she was able to give an accurate glimpse as to what happened on those camps and why they were formed. This second book made me an official Patricia Harman fan and am definitely excited to see what comes next, whether it is a continuation of this story or something completely new. If you are new or current fan of the historical fiction genre, these two are definitely great to add to your wish list! I'm pleased to see that Patricia has made a new fan! Thanks for being a part of the tour.